‘Beti George: Colli David’ follows the journalist and former carer as she adjusts to life without her partner, David Parry-Jones, who died in April 2017. Beti had cared for David for 8 years after he was diagnosed with Alzheimer’s Disease. 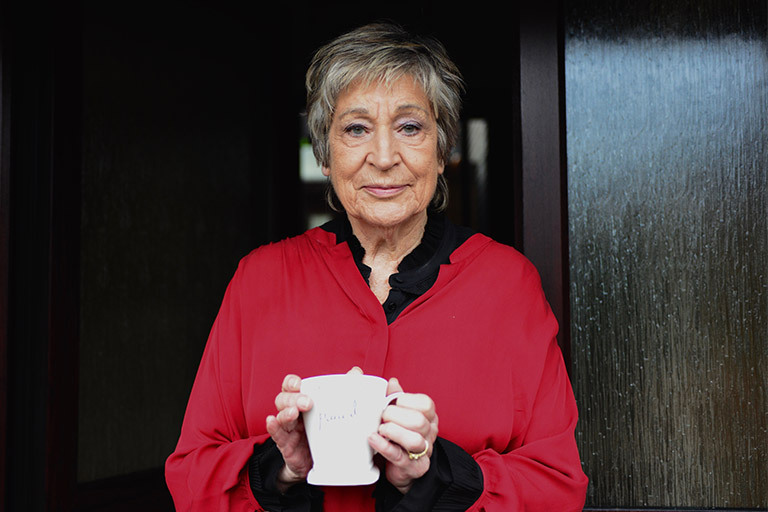 She is determined to continue to campaign for better dementia care, giving a voice to the thousands of carers, who struggle with very little support on their own. The programme charts her personal grief and her public fight to right the wrongs she sees. Beti has been nominated for a BAFTA Cymru Award, 2018, for her work on this programme.